Fashion and style always depends on good color so we create best shades to enhance your beauty and personality. 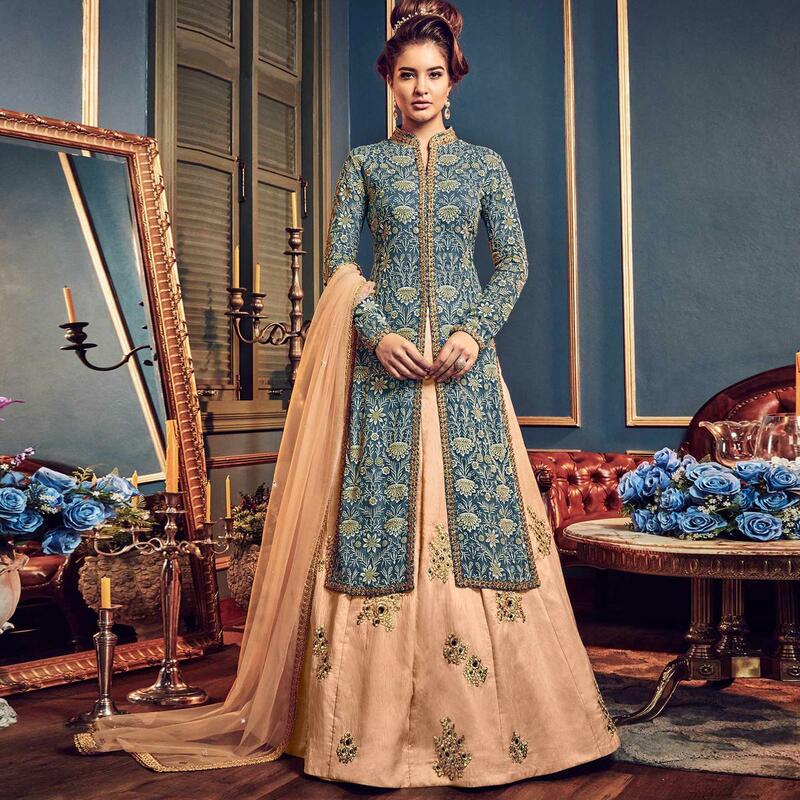 Keep ahead in fashion with this beautiful light teal blue colored embroidered lehenga kameez. 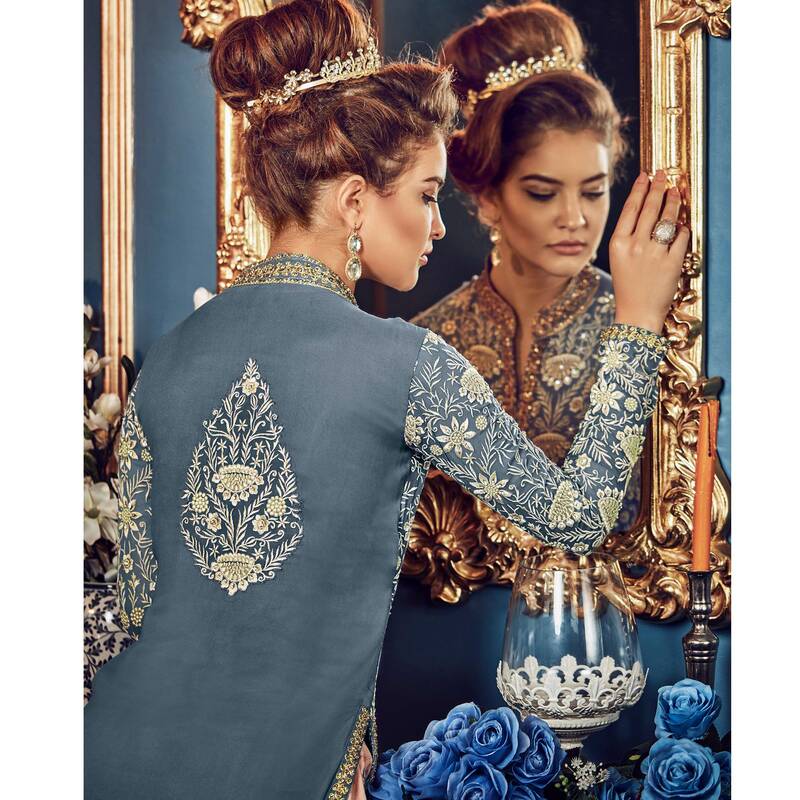 This beautiful kameez is prettified with lovely embroidery which makes it appear classy. The top is made of swiss georgette accompanied with santoon lining, banglori silk lehenga and premium net lace border dupatta. 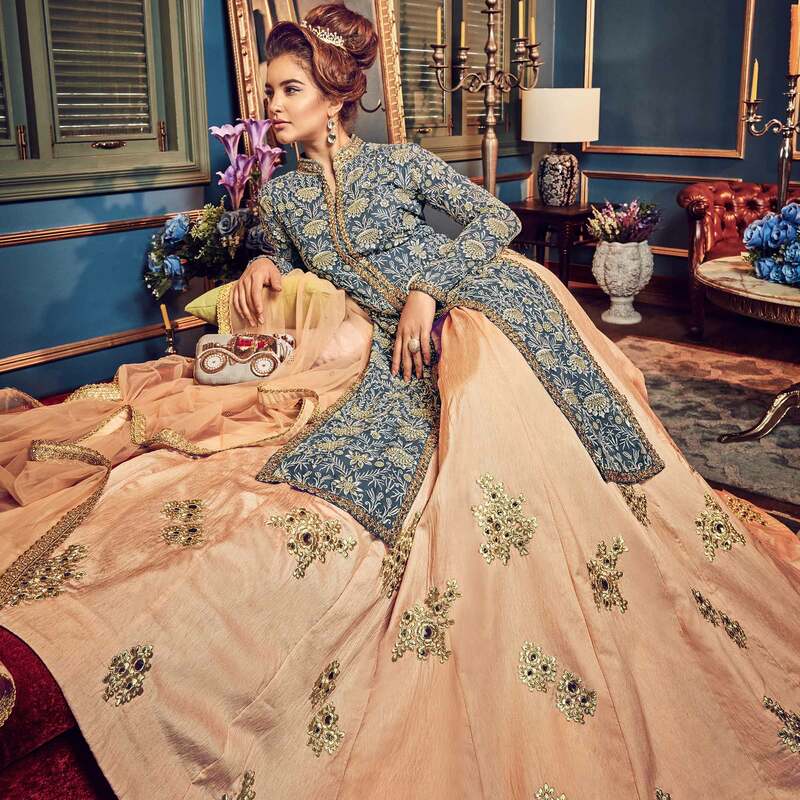 Women can buy this lehenga kameez to wear for their upcoming parties, festivals, wedding functions or engagement ceremonies and occasions, where you want to be center of attraction. Team it with stylish accessories to make your looks more beautiful. 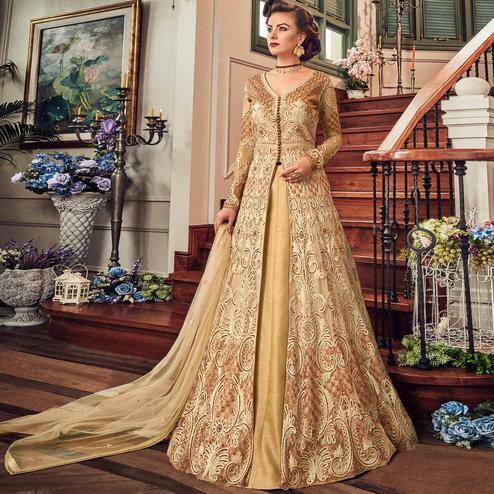 This attractive suit will surely fetch you compliments for your rich sense of style.